Organic gardening, farming, or, simply growing is a method of horticultural production that aims to align itself with natural and sustainable systems as closely as possible, with the broad intention to leave ample resources for generations to follow. The means by which these goals are achieved by organic growers include the integration of practices such as crop rotation, beneficial plantings, and other biological and natural methods, as well as limitation of specific inputs, such as pesticides and fertilizers that contain synthetic or toxic chemicals, ionizing radiation, and sewage sludge. In addition, organic growing proscribes the known use of materials that have been genetically engineered or genetically modified. Do I have to be certified in order to farm organically? The decision to become certified organic is one that rests largely on what you intend to do with your produce. If you and those with whom you are close will be consuming the produce, there is little need to be formally certified organic. If you sell your product and market it as "organic," then you will need to consider certification; if you gross >$5000 annually in sales from produce that is labeled organic, you will be required to become certified. Your local certifying agency can guide you through the intricasies of organic certification and product labeling. To be certified organic, a grower must comply with all standards set forth by the USDA National Organic Program and with the laws established in the Code of Federal Regulations. Certification signifies that the grower knows and understands farming practices permitted under these standards. Certification allows a grower to label and market products as "organic" and to use the USDA Organic symbol. To learn about specific standards and laws pertaining to organic certification in your region, consult with your local certifying agency. What are the benefits of growing organically? Due to strong and growing demand for organic produce that growers have not yet been able to fully meet, there is considerable potential financial incentive to an organic grower. As noted above, certified organic producers are permitted to market their produce as organic using the readily recognized USDA organic symbol. More broadly, everyone stands to benefit from the limitation of synthetic inputs into organic production systems. Certified organic farms must document all crop and soil inputs, and the Code of Federal Regulations details soil fertility and crop nutrient management practice standards that certified organic growers must apply to their operations. Organic and, more broadly, sustainable agriculture practices by their very nature conserve and protect natural resources, thereby supporting healthy communities and a healthy environment for now and into the future. What is the best way for a grower to become certified organic? Our best recommendation is to consult with your local certifying agency. Your local certifying agency will be knowledgeable of all requirements, as well as challenges and opportunities particular to your state or region. However, most certifying agencies accredited by the United States Department of Agriculture do have jurisdiction to certify producers and handlers the world over. To find a certifying agency near you, visit the USDA NOP website (you can view listings by certifier name, by state, and by country). I'm a certified organic grower. Can I use conventionally grown seed? There may be conditions under which a certified organic grower can use conventional seed. These may be subject to variability, however, for example in seed availability. For more specifics, contact your local certifying agent. What is the difference between certified organic and conventional seed? The primary difference is that certified organic seed is produced under a set of defined organic growing conditions. These conditions include a range of organic methodological options that involve limited input of the synthetic chemicals found in many fertilizers and pesticides, and prohibit the use of genetically modified materials. Conventional seed is not subject to production under these defined certified organic growing conditions. If I purchase organic seed do I have to grow them organically? You are under no obligation to grow organic seeds using organic methods. Indeed, organic seed will perform under conventional practices. Do organic seeds store as well as nonorganic seeds? If stored under proper conditions, yes. Can hybrid seeds be organic? Yes. Hybrid varieties are the result of crossing two similar, but distinct varieties or species to achieve specific traits in the resulting hybrid offspring. Whether or not a seed is certified organic has principally to do with the environment in which it was grown and handled, though genetics can be influenced by environment. Hybrid varieties offered in our catalog and on our website include (F1) in their name. Do organic or nonorganic systems provide better production? Yield? Growth habit? A range of studies have been conducted to evaluate the output of organic and conventional growing systems. These studies have assessed flavor, nutritional quality, yield, growth habit, and overall production methods. The science behind these studies has been inexact to date, however, and the results are somewhat conflicting. At Johnny's, we believe the merits of various production systems can be weighed on a case-by-case and even season-to-season basis. We are proponents of testing new and innovative sustainable and organic farming practices to continually improve our operation and serve as an education center for our customers. If I purchase organic seeds am I supporting organic farmers in turn? By purchasing organic seed one is showing that there is demand for organic seeds, thereby driving resources into research on organic methods, including the breeding and development of superior organic varieties. However, we believe farmers of all types benefit from organic research and development. Does organically grown mean non-GMO and non-organic mean GMO? To answer the first part of the question, any seed or plant material product labeled certified organic cannot contain GMOs. To answer the second part of the question, no: nonorganic does not inherently mean that a seed or plant product contains GMOs. It's also important to note that the majority of vegetable crops being grown today have not been subject to genetic engineering. Who is the organic certifier for Johnny's Selected Seeds? The Maine Organic Farmers and Gardeners Association is the certifying body for Johnny's Selected Seeds. MOFGA, as it is known locally, has been certifying farms since 1972. When the United States Department of Agriculture established standards for organic certification, MOFGA became a USDA-accredited certifier. Johnny's Selected Seeds has maintained a strong commitment to supplying varieties to organic growers since our inception in the 1970s, and in the intervening years we have expanded our line of organic seed — though not all of our offerings are organic. All of our certified-organic offerings are easily identified by the OG symbol adjacent to the Product ID in the catalog and as part of the product name on our website. To be certified organic, plant and seed material must meet an array of criteria: it must not contain genetically-engineered traits, must be grown strictly without the use of inputs disallowed in organic agriculture, and must be packed in a certified organic product handling facility. What percentage of organic versus conventional seed does Johnny's carry? Approximately one-quarter of the seed we currently carry is certified organic. We strive for the broadest practicable selection of the best organic seed available; as seed is a living product, however, this figure is subject to change from month to month and year to year. Why aren't all of your seeds offered with an organic counterpart? At Johnny's, we work to offer the best organic products available to meet the diverse, year-round needs of our customers. Whenever organic seed that consistently yields healthy, uniformly true-to-type plants becomes available to us in sufficient quantity, we offer that seed to our customers. Because seed is a living entity, its viability and availability are subject to change over time. Organically produced seed which meets both our extensive trialing requirements and rigorous quality standards is available for a portion, but not all of the hundreds of varieties we offer at any one time. For these various reasons, we may only be able to offer conventional or another type of seed for a particular variety at a given time. Do you offer supplies for organic production? We provide a meticulously screened selection of tools, fertilizers, pesticides, and disease controls for growers using organic, integrative, and sustainable methods. We offer only products from trusted suppliers with a proven track record for consistent high quality. We also provide technical support to our organic customers to ensure their successful use of these products, including both seeds and supplies. Supplies that are marked with an OG symbol meet the USDA's National Organic Program (NOP) rules, as approved by one or more third-party authorities, such as OMRI, WSDA, or another local authority such as MOFGA or NOFA. The supplies we offer that are approved for organic production by a third-party authority all bear symbols corresponding to the certifying authority/ies. If you have any question as to whether a particular product can be used for organic production, be sure to check with your local certifying agency. When a product is described as NOP-compliant, it means it has met all of the standards established by the USDA's National Organic Program. OMRI is the acronym for the Organic Materials Review Institute, a nonprofit organization that reviews materials for approval and compliance with the National Organic Program. The institute maintains a list of products that meet their approval. The institute also releases a list of materials that comply with Canada Organic Regime standards. 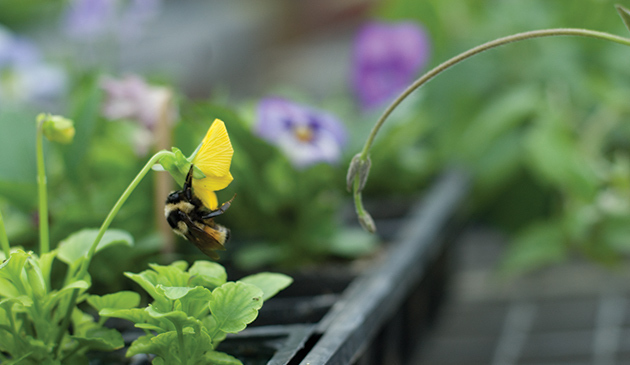 Which of your products can organic growers use for pest and disease management? When you go to the pest management section of our catalog or website, you will see certain products labeled with the OG symbol. These products have been approved for organic production. Many of these products also have been reviewed by a third-party agency for the appropriateness of the product in organic production. The symbol from the Organic Materials Review Institute and the Washington State Department of Agriculture, for example, are featured on numerous products we offer. If you have any concerns as to whether a particular product can be used for organic production, be sure to check with your local certifying agency. Which of your products can organic growers use for fertilizer? When you go to the fertilizer section of our catalog or website, you will see certain products labeled with the OG symbol. These products have been approved for organic production. Many of these products have additionally been reviewed by a third-party agency for the appropriateness of the product in organic production, such as the Organic Materials Review Institute (OMRI) and the Washington State Department of Agriculture (WSDA), whose symbols are featured on a number of our products. If you have any question as to whether a particular product can be used for organic production, we recommend you check with your local certifying agency. Does Johnny's sell GMO seeds? As one of the 9 original signers of the Safe Seed Pledge, Johnny's Selected Seeds is strongly committed not to knowingly buy or sell any genetically modified or genetically engineered seeds. Furthermore, organic agriculture prohibits the use of materials resulting from genetic modification. If you purchase certified organic seed, it will not contain GMOs. Does your organic seed germinate differently from your nonorganic seed? Every type of seed we carry is subject to quality assurance standards that we have intentionally set significantly higher than the Federal Seed Act minimums. Therefore, if you were to compare our untreated organic seed against untreated conventional seed under controlled, like conditions, there would be no appreciable, consistent difference in germination rates. There is, however, a significant increase seen in rates of germination for treated seed over those of untreated seed for some crops under some conditions. Our germination trials have also demonstrated that conventional chemical treatments can provide for increased germination rates over NOP-compliant biological treatments such as Natural III. How do you ensure that the products you list as organically grown are certified organic? Johnny's is certified by the Maine Organic Farmers and Gardeners Association (MOFGA), Maine's USDA-Accredited Organic Certifier. MOFGA conducts annual on-site inspections, and certification is renewed annually. I see that some of the seed you carry has been film-coated. What's the purpose of this film coating, and is the coating considered organic? The main purpose of the film coating is to enhance the ease of handling small or irregular seed. The acceptability of film-coated seed in organic production is subject to the certifier's approval. Please contact your local certifying agency for suitability. Is the pelleted seed you offer approved for organic production? Most of our pelleted seed is NOP-compliant. To determine whether the pelleting is NOP-compliant, look for either GP in the Product ID, which signifies that it is certifed organic seed with NOP-compliant pelleting, or for JP in the Product ID, which signifies that is conventional seed with NOP-compliant pelleting. Any pelleted seed with a P at the end of the Product ID is conventional seed with conventional pelleting. NOP-compliant pelleting is a seed enhancement comprised of materials that have been reviewed by, and found to be in compliance with the standards of the National Organic Program. We offer two NOP-compliant pelleting options: 1) organic seed product coated with NOP-compliant materials , as designated by a Product ID ending in GP; and 2) conventional seed product coated with NOP-compliant materials, as designated by a Product ID ending in JP. Any pelleted seed product simply designated with a P at the end of the Product ID is conventional seed with conventional pelleting. Can Johnny's provide me with a letter documenting that the products I purchase are allowable for organic production? Yes. Please contact Customer Care for assistance with this documentation. If you have a commercial account, you can contact your Sales Representative / Sales Support Specialist for further assistance. Your invoice serves as additional substantiation that the seed and other plant material you purchase from Johnny's is certified organic. If the product ID ends with a G at the end or there is an OG symbol in association with the product, the product is allowable for use in certified organic production systems.